Deep sleep is the foundation for living your best life- it allows the body and mind to rest and rejuvenate. In our hyper connected world and busy lives it is often a challenge to wind down from everyday demands on your energy and time. 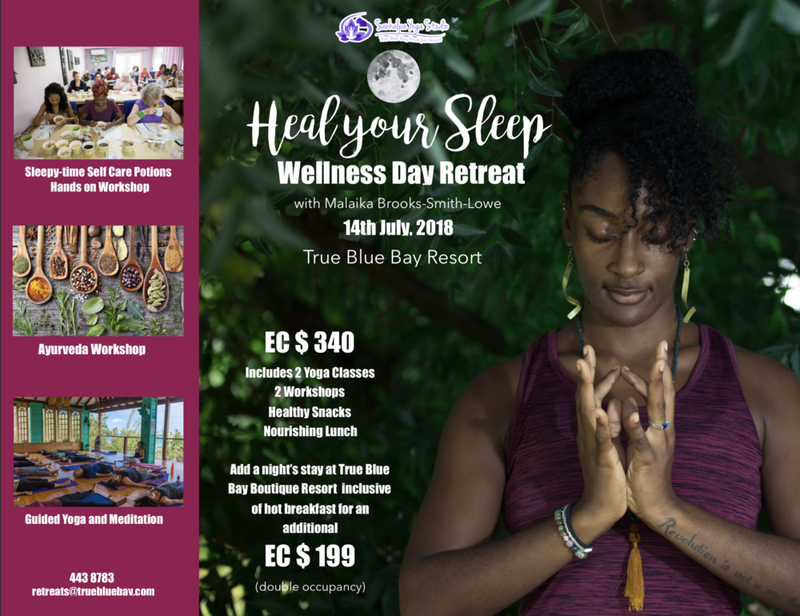 With this wellness retreat we aim to give you the tools through yoga, meditation and time in healing natural spaces to reconnect with a sense of true peace and a rejuvenating night’s sleep. A non-refundable downpayment of EC $150 or US $60 must be paid by July 7th, 2018 and the balance must be paid prior to attending the retreat on July 14th, 2018. Both cash and credit payments are accepted.